Biz Whiz is offering a course on technical analysis. Mr. Jose Aranaz, a former stockbroker of Merrill Lynch with over 30 years experience in trading both here and abroad, will be both mentor and speaker, as he helps students bridge the gap between stock market theory and actual trading. 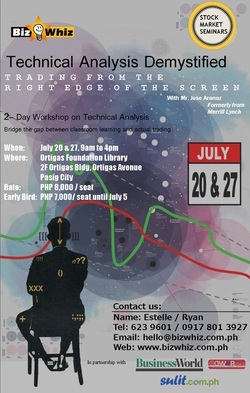 The course will include two days learning the foundations of technical analysis, and a half day with Mr. Aranaz coaching them on how to apply the knowledge they have learned during live market trading. If you are interested to join the course or if you have other inquiries, please e-mail the Biz Whiz team at hello@bizwhiz.com.ph or call us at 975 9559 / 0917 859 4891. 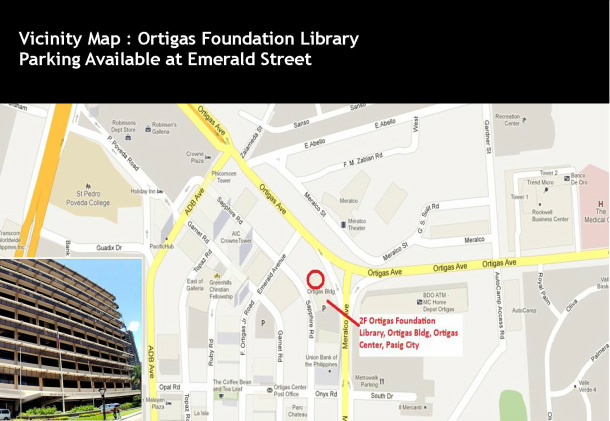 We are accepting early bird registration until May 15, 2013. This 2 day workshop aims to teach you how to forecast stock price based on charts formed from historical prices. Learn how read candle stick charts. Recognize chart patterns and signals to buy and sell stocks. In this seminar, we will teach you how to interpret market psychology and apply it in your trading decisions.